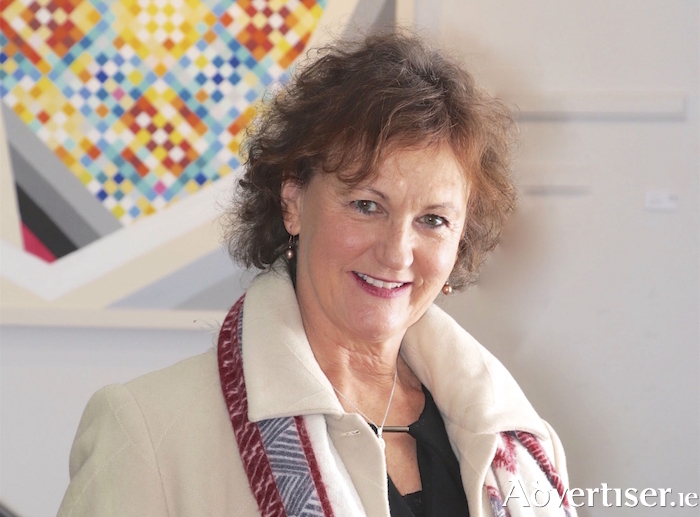 For the past four years Anne McCabe has enjoyed a fruitful tenure as artistic director of An Taibhdhearc but that reign has come to a surprise ending following the theatre board’s decision to abolish the position. Nothing daunted, McCabe is looking forward in hope rather than looking back in anger and over an afternoon chat she reflected on some of the highlights of her career to date and what the future holds in store. McCabe’s RTÉ credits include winning a Jacob’s Award and a Celtic Award for her documentary about Dublin’s AIDS orphans as well as being series producer of the health series Check Up and directing many episodes of Glenroe and Fair City. In 1995 she moved west to become commissioning editor of fledgling company TG4. With TG4, Anne established the popular soap opera Ros na Rún which has now been running for more than 20 years. She has also served as a scriptwriter on the acclaimed Jack Taylor series, and as director on the 2013 TV3 drama series Deception. McCabe also exudes pride as she reflects on her achievements as artistic director of An Taibhdhearc. “I think most people would see that I made a difference,” she states. "Plays like Star of the Sea – which we co-produced with Moonfish and it recently went to the USA - and Maamtrasna, were bilingual and were like dialogues between Irish-speaking culture and English-speaking culture. I ask Anne how she would assess the audience that exists for Irish language drama. “That’s a hard question,” she replies. “I think for everyone, even in English, it is harder and harder to fill theatres so it’s a universal problem. Even getting a TV audience is hard due to the fracturing nature of media in today’s world. As regards Irish language drama, Gaeltacht audiences tend to prefer plays for and about them, written about them, by local people and with local actors. So for a national Irish language theatre in Galway trying to present plays of national relevance, as An Taibhdhearc aspires to do, is challenging. Alongside her many stage and screen credits, Anne published a novel in 2011, Under the Avalanche, about three generations of a Wicklow family and partly based on her observations on the Kerry babies case. As she looks ahead to life following her departure from An Taibhdhearc, is this among the options she is considering pursuing?